I received a call yesterday from an 88 year old woman who has multiple health problems, including fluid on her lungs, and among the drugs that she is taking is a diuretic. And it got me thinking of how widespread the use of diuretics is. Diuretics are the most widely prescribed drugs to treat hypertension, and they are considered first-line treatment. Diuretics are always prescribed in cases of heart failure. Fluid retention just about anywhere in the body is treated with diuretics- and not just common leg swelling. For instance, if a patient doesn't like the puffiness around her eyes in the morning, a diuretic is often given for that too. 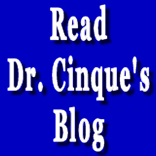 Let's get one thing straight: diuretics do not cure anything; they do not correct anything. What they do is add a layer of pharmacological dehydration to whatever problem already exists. In so doing, they can camouflage the existing problem. Pharmacological (drug-induced) dehydration is an abnormality, a disease, an iatrogenic disease. It is a dangerous deviation from normal. And, diuretics work not by enabling the kidneys to work better, but by interfering with and disrupting their normal, healthy function. To understand why that is so, we have to look at how the kidneys work. Kidney filtration starts with blood passing through a specialized tuft of high-pressure capillaries called a glomerulus. Because of the high pressure, water and disssolved substances are forced out of the capillary into the capsule that surrounds the glomerulus, called Bowman's capsule. Then comes a long tubular system known as the renal tubule. There, the body reclaims some of the initial filtrate, including about two-thirds of the salt and water, and virtually all of the organic compounds, such as glucose and amino acids. The whole idea is to reclaim the good and leave behind the bad. Diuretics work by sabotaging the reclamation process so that more of the initial glomerular filtrate reaches the bladder. When that happens, valuable minerals, such as sodium, potassium, and magnesium, are lost. And keep in mind that the normal performance of the kidneys is a very delicate and intricate process. The body goes to great and complicated lengths to balance its chemistry, including it's pH, by way of the kidneys. To go in there, as with a sledgehammer, and pharmacologically force sweeping changes to this delicate process is bound to cause havoc. You wouldn't try to adjust a wrist watch with a sledge hammer, but they might as well be doing that when they give people diuretics. So, what is the result of taking diuretics? As I said, It puts you into a state of pharmacological dehydration which gets superimposed on top of your original pathological condition. So, are you better or worse? But, don't be fooled by appearances. The result may have some semblance to a normal, healthy state, but it is actually further removed from it. You, the poor patient, are being deceived, and unfortunately, so is your misguided doctor. It's very frustrating to me that so few doctors realize that the "improvement" that comes from taking a diuretic is just a trick, a charade, a medical shenanigan. Nobody gets their issues resolved by taking diuretics. Nobody. It's just a way of masking symptoms and putting additional strain on the body. I suppose it wouldn't matter if it were harmless. But, it isn't. It causes widespread disruption of the body's delicate balance. I like to make an analogy to a bicycle wheel being "out of true." To get that perfect rotation back, a wobbly wheel is placed in a device, and then the spokes are adjusted- some tightened and some loosened until the wheel rotates evenly again. But, you can't go about it wily-nily. If you don't know what you're doing, and you start cavalierly tightening and loosening spokes to correct the wobble, you can easily create another wobble somewhere else that is often worse than the original one. You'd be surprised how easy it is to make a bad wheel worse when trying to fix it- if you don't know what you're doing. You can easily dig yourself in deeper. And that's exactly what happens when you take a diuretic; you're just digging yourself in deeper, making a bad situation worse. And that's why when you start taking a diuretic, your problems never go away. It's just a matter of time before the failure of it becomes apparent with the manifestation of new symptoms- that will undoubtedly be treated with other drugs. They are setting you up for unending medical dependency. So, even if there seems to be an initial improvement symptomatically from taking the diuretic, it will always prove to be temporary and fleeting. No real good comes from it. Diuretics never restored anyone to health. It's just a trap, a miserable, medical trap. Am I saying that there is no legitamate, beneficial use of diuretics? Let me put it this way: I can't think of a single condition in which I would be willing to take a diuretic. Not one. If I had high blood pressure, I would do other things to bring it down, constructive things, relating to diet, exercise, stress relief, and the use of safe, natural supplements. If my heart were failing, I would take actions that stood a chance to make it stronger rather than cover up the manifestations of my weak heart with diuretics. If I had fluid retention relating to a glandular deficiency, I would have that situation analyzed and addressed. For instance, if I were found to be hypothyroid, I would certainly be willing to take thyroid hormone, but I would not, be willing to take diuretics. If my legs were swollen because of venous insufficiency (bad valves etc.) I would walk as much as possible, use the slant board every day, wear supportive legwear, eat well (meaning lots of fruits and vegetables), and I would take natural botannicals that have been shown to support vascular health, but I would not take diuretics. And if I had fluid on my lungs, I would address the causes of it, but I would not waste time and complicate my condition by taking diuretics. It's a road that leads nowhere good. In case I haven't made myself clear: I DON'T LIKE DIURETICS. They don't do any good; they just create the illusion of improvement. It's just another way that doctors cause havoc under the guise of helping people.